First published in 1972, this work pursues the question ‘what is comedy?’ In its quest for an answer it explores critical theory, psychology, sociology and metaphysics. 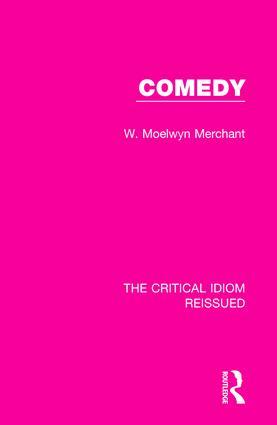 It also examines the classical origins of comedy, different kinds of comedy, the rituals of comedy, its relationship with other idioms such as ‘satire’, irony’ and ‘farce’, and compares two major traditions: ‘Aristophanic’ and ‘Shakesperean’ comedy. In doing so, the book demonstrates the indefinable and flexible nature of comedy. This work will be a valuable resource to those studying drama, and in particular, those focusing on classical and Shakespearean plays.